The new member of the Ambassadors Parlanti team in the world is Steve Guerdat. The Olympic rider chooses the quality of Made in Italy excellence. Guerdat, class ’82, boasts in his palmares victories such as bronze in the Team Show Jumping in the 2008 Beijing Olympics, graduated individual Olympic Champion in the 2012 London edition confirms a continuous rise that leads him to conquer two World Cup finals in 2015 and in 2016, and a third place at the Team European Championships in 2017. 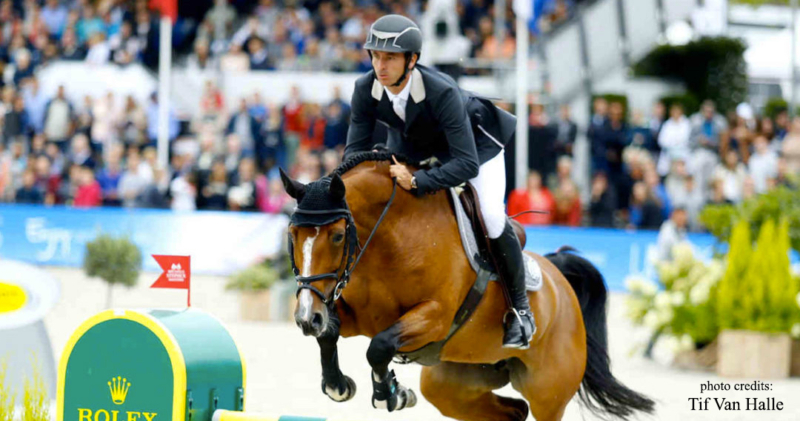 Protagonist with a splendid Gold in the CSIO of Rome riding Hannah in the Eni Prize (1.50 mt.) Thursday May 24th, and an exciting second place with his Alamo in the Loro Piana Trophy (1.50 / 1.55 mt.) Saturday May 26th, the Roman trip with two medals won in the green oval of Piazza di Siena 2018. «The Parlanti company is proud to support champions of this caliber, dedicated talents and enthusiasts who stand out with unique performances “- says Daniele Parlanti.